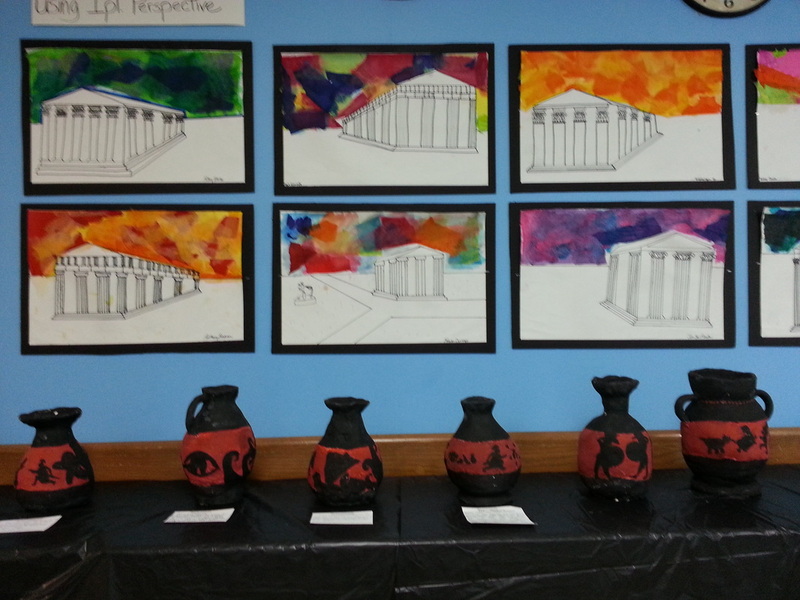 Ancient Greece lasted from the Archaic period of the 8th to 6th centuries BCE to the end of antiquity around 600 AD. Immediately after this period was the beginning of the Early Middle Ages and the Byzantine era. 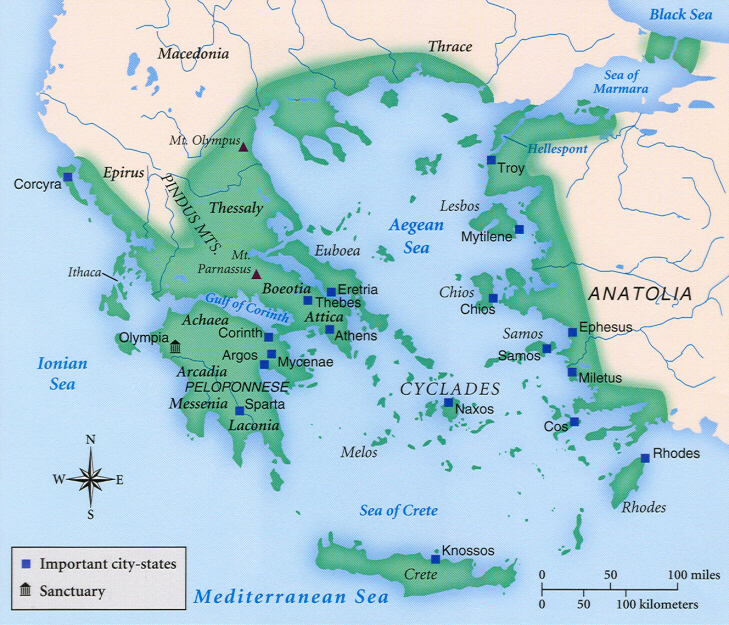 Included in this time is the period we call Classical Greece, which flourished during the 5th to 4th centuries BCE. Classical Greek culture, especially philosophy, had a powerful influence on the Roman Empire, which carried a version of it to many parts of the Mediterranean region and Europe, which is why Classical Greece is generally considered to be the culture which provided the foundation of modern Western culture. During this unit we will use Greek mythology as our doorway to understanding ancient Greek culture, politics, religion, and thinking. Mythology is a collection of stories about the gods and heroes of a people that try to explain the unexplainable. Mythology tries to answer questions like, how did the world begin, or what happens after death? Click on the link to download my Power Point presentation on Ancient Greece. How does a culture show variety across time and space? Civilizations experiment with various political systems over time. Different political systems are based on different ideas about who should have power to make decisions. A culture's power structures change as political systems change. A culture's mythology reflects power struggles in society. A society's power structures influence individuals' roles in daily life. Join a study group (3-4 people) that reads and exchanges information about one part of Ancient Greek culture, recording your research in your notebook. 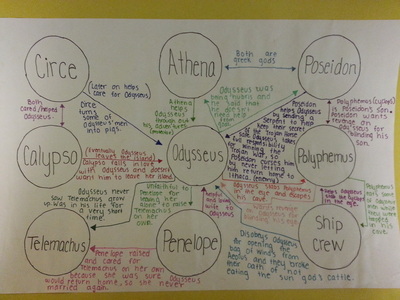 ​Read at least three books about Ancient Greece, record your critical thinking in your notebook. One book must be about the different political systems Ancient Greece experimented with. Create a timeline in your notebook of significant events in Ancient Greece from 1200 BCE to 86 BCE, emphasizing major turning points in the evolution of Ancient Greece. 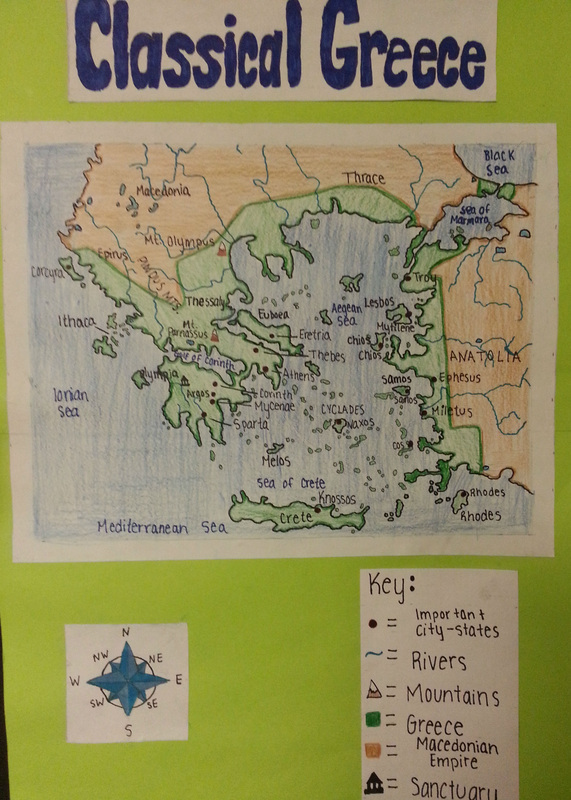 Draw a map of Ancient Greece, showing the major city-states, main bodies of water, and land forms. 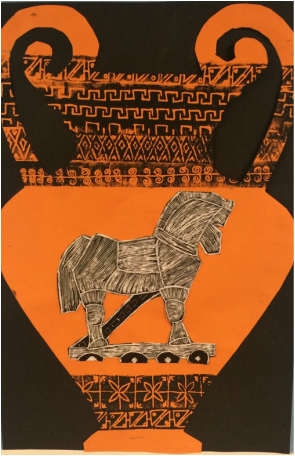 Creative writing: write a creative piece of writing that conveys information from your research about Ancient Greek culture. Possibilities include: a series of diary entries, a series of short monologues, an epic poem, a collection of letters to the editor about an issue, or a genre of your choice. 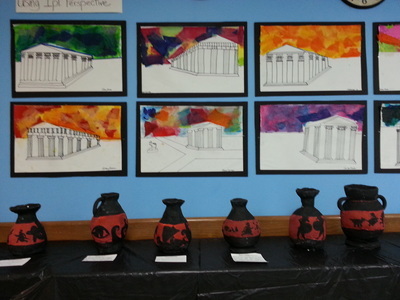 Take a final quiz about Ancient Greece. 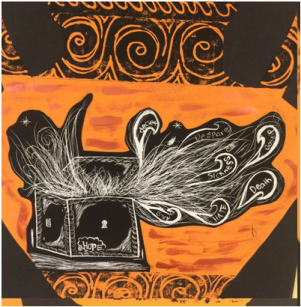 ​After reading a selection of Greek myths, fables, and legends​, create an engraved representation of a story from ancient Greek literature. You will depict one scene from the story. You will also write an artist's statement explaining the power relationships between characters in this story and how they reflect (or challenge) power structures in larger society. Alternatively, you can form a reading group of no more than three and read Homer's Odyssey. 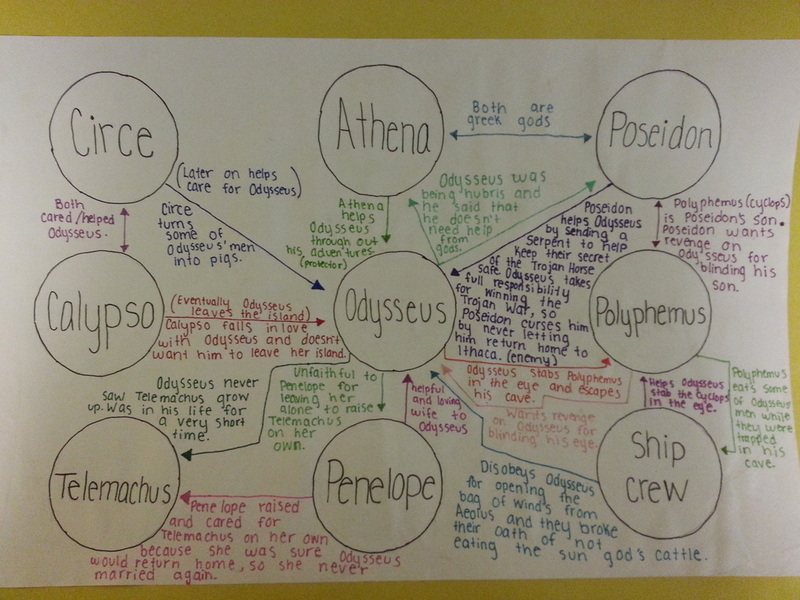 When finished, your group will create a sociogram highlighting the relationships between the various characters. ​Your grade will depend on the quality of your notebook (30%), tasks and projects (30%), discussion participation (20%), quizzes (10%), and your work habits (10%). All work is due before the end of the unit. Do not wait to turn work in. As you finish a task give it to me for feedback and grading.